“When you want to succeed as bad as you want to breathe, then you will be successful,” says her mentor Eric Thomas. Spreading her message as a living brand, Tamara Russell also known as Proof of Consciousness (P.O.C. ), an ambitious innovator, she is living proof that power lies within her words. Today, her dream is evolving, but the dream is still very much alive. Only a quarter of a century and originally from the Washington metropolitan area, P.O.C. grew up learning the importance of service, sacrifice, leadership and most importantly communication. In the midst of her ever-changing environment, the ability to express herself and connect with people through introspective and transparent speaking became an integral part of her core. P.O.C’s life represents a story of self-determination, and that’s why she lives by the motivational phrase “GREATNESS IS A CHOICE,” not only to keep herself going but also to remind others. Dreaming is recognizing and embracing the potential for greatness and seeking it in all areas of your life. Believe in your dreams and your ability to accomplish them. It’s not enough to just believe in your dreams but to also take action. P.O.C understands this and wakes up each morning going after her dreams fearlessly and trusting the process. P.O.C. is driven and determined to make her dreams her reality. “ The only way to do great work is to love what you do” says Steve Jobs. P.O.C. is sought after as a voice of truth and understands her voice have power! She doesn’t take no for an answer and is no longer going to allow anyone to stand in the way of achieving her goals and dreams, not even herself. P.O.C. is kicking down doors and taking over your airwaves with her new millennial radio podcast entitled REVIVE. 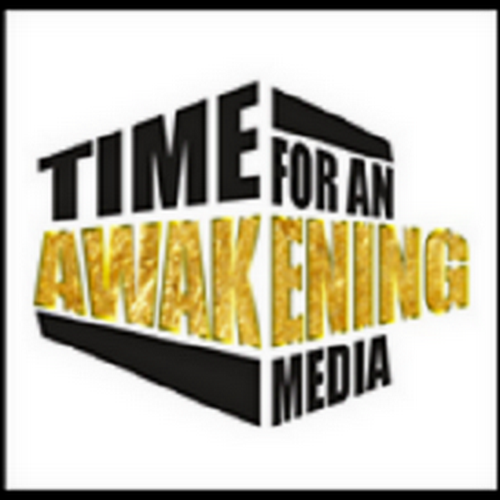 An Internet radio podcast streamed on “Time for an Awakening” every Wednesday 8pm-10pm and Sunday 11am-1pm. REVIVE is an outlet to reach and restore minds of the people, creating stimulating conversation, and to broadcast positivity and unity within mass media communication. She was inspired to build a platform that demonstrates the power of communication. Being that communication is the key component to bringing back unity in our communities, P.O.C. is creating new ways to break the cycle of disconnection and bridging the gap between younger and older generations. She plans to do so by meeting people where they are and sparking conscious conversations. Along with her radio show, she is becoming an impressionable force on social media. Thriving off of all forms of communication P.O.C. also has her own REVIVE Social Media 360 workshop, created to educate the youth on the do’s and don’ts that come along with social media. REVIVE Social Media 360 workshop is also a platform to help youth become knowledgeable about the benefits of social media. You can also check her out on Twitter and Facebook @REVIVE_POC, where she post daily with the power of words and wisdom. P.O.C is also involved in the community speaking at educational workshops. Her success is benevolent and will only continue to grow! What we are recognizing is P.O.C being a part of the amalgamation of all great movements. In words of P.O.C., the revolution is being televised. The real revolution is the evolution of consciousness and P.O.C immerses the freedom to engage conversations that develop liberation. A woman with vision, ambition, and purpose, Tamara Russell also known as Proof of Consciousness (P.O.C.) has dedicated her life to restoring life, health, and consciousness thru media and all forms of communication. It is through her continued hard work and commitment that she reaches people from all over the world. In the words of P.O.C “GREATNESS IS A CHOICE, ” and we are only one choice away from an entirely different life! Support the #REVIVE movement.